It’s always nice to see billboards used well. (Of course, I’d rather not see them used at all, but as long as they are there . . .) This campaign for Grand Rapids, MI, rehabilitation hospital Mary Free Beds is a great example. At a 65-mph glance, I get who they are and what they want me to know. 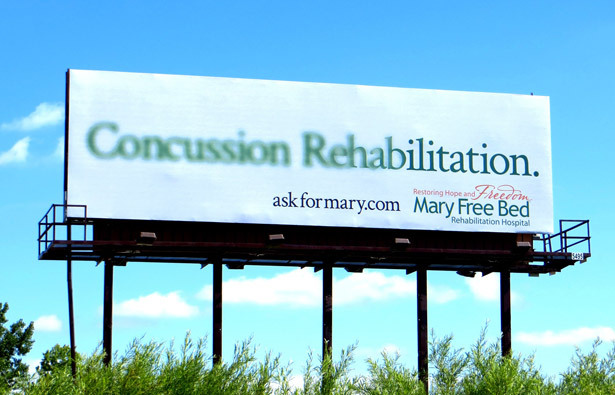 In addition to sponsoring smart billboards, Mary Free Bed has a very cool origin story. In 1891, a group of local women brainstormed ways to provide good medical care to those who couldn’t afford it. Their solution predated our current social philanthropy revolution by a century and a half, and their ingenuity easily rivaled Kickstarter and Indiegogo. Recognizing that the name Mary was very popular, they asked everyone named Mary, and anyone who knew anyone named Mary, to give enough money to buy one bed for one of the local hospitals. 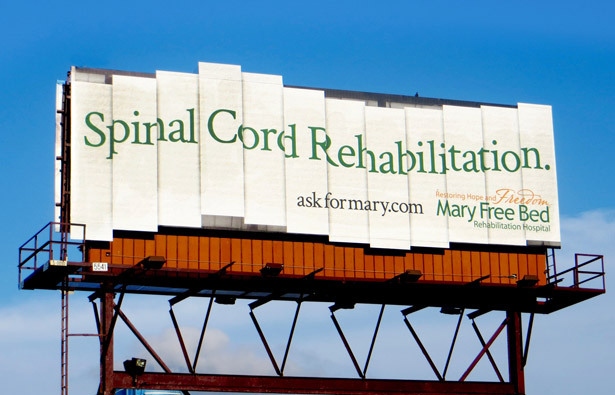 Today the Mary Free Bed Rehabilitation Hospital raises funds for convalescent and orthopedic care for children and for adult spinal injury and stroke patients. The creative is by Grand Rapids agency Extra Credit Projects. This story originally appeared in @issue: The Online Journal of Business and Design.